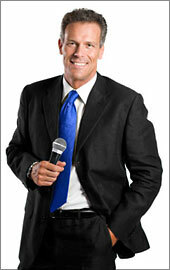 Make an impact on your wedding day! 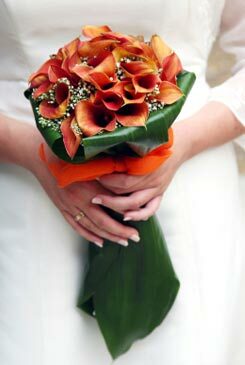 Unique bridal bouquets can make an impact on your wedding day. 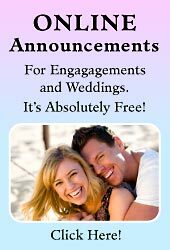 If you're a modern bride and want to make that lasting impression, then choose to have unique bouquets and floral arrangements for your special occasion. 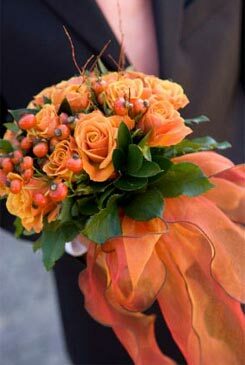 Fairy Godmother tip; the key to wedding flowers and expressing your personal style is to keep the unique bouquets interesting with an element of pizzaz. 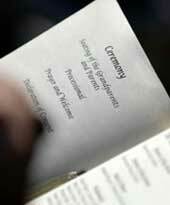 Don't choose or design arrangements that are weird and querky - remember, it is a blessed event and it's best to keep things classy. The beauty of flowers are so inspiring. Dare to do something a little different, like the designers do on the catwalk. You are the STAR of the show! 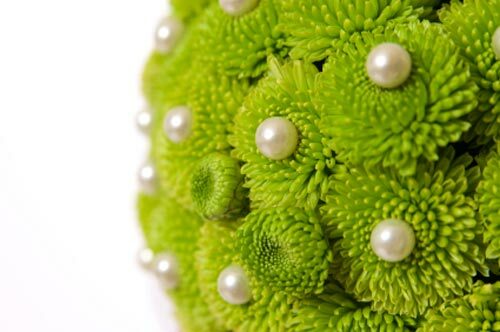 Unique bouquets do not have to be strange or outlandish to be remarkable - but they must have that element of style and design about them that makes your flower arrangement memorable. 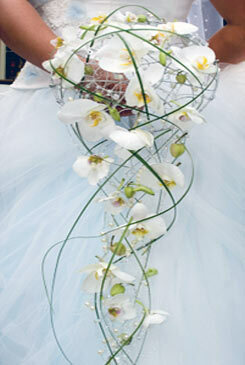 Bridal bouquet ideas: You could accessorise your unique wedding bouquets with crystal beaded stems, decorative organza or satin ribbons, pearl headed pins or other decorative accessories that come to mind. It's all in the design. 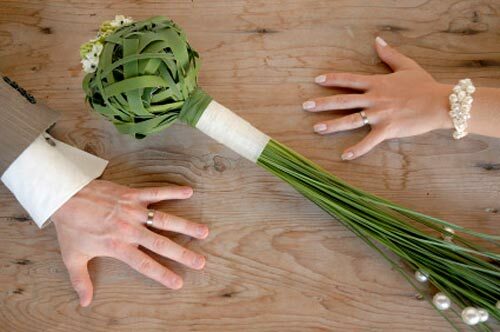 Do it yourself wedding flowers: If you are the do-it-yourself inspired bride, here's how to make your own bouquet with detailed bouquet instructions using ivory coloured Roses and blue green Eucalyptus leaves. 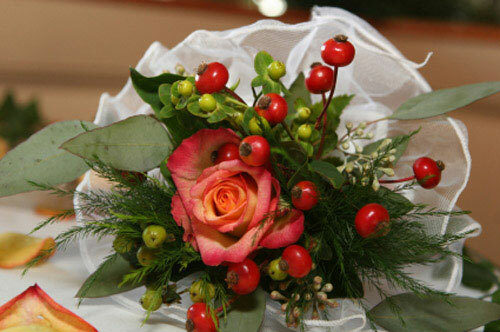 A unique flower arrangement will stir your emotions, inspire you and capture the spirit of the moment. You will know you've had a successful wedding when you guests are still talking about your wedding a year later. 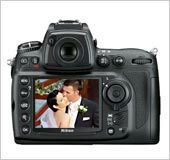 Make it a wedding to remember! 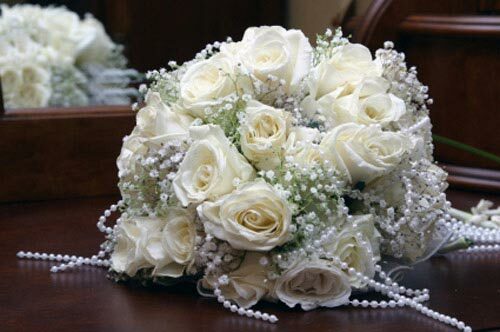 Gorgeous white bridal bouquet pictures. Glorious yellow bridal bouquet ideas. 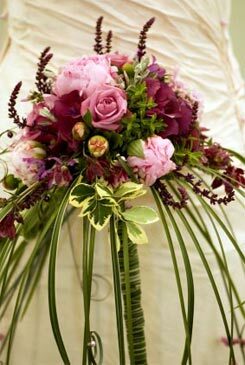 Stunning pink wedding flowers & bouquets. 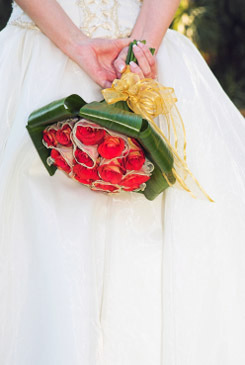 Passionate red wedding bouquet pictures. 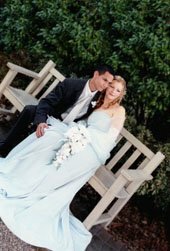 Heavenly blue wedding bouquet pictures. 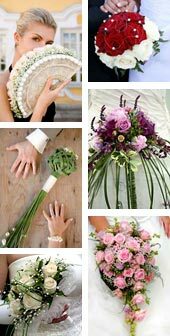 Hand tied bridal bouquets pictures & ideas. 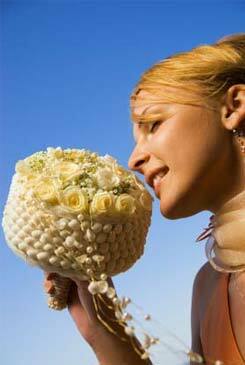 The different bridal bouquet types.